Nowadays, it seems that HID kits are slowly but surely overtaking LED kits when it comes to the popularity. Needless to say, both of these are great for the purpose of providing a piercing light at an affordable price. However, HID kits are often a little bit cheaper and come in various shapes and sizes which is the main reason behind the buyers’ attraction. I mean, who wouldn’t like an HID kit in under fifty bucks? 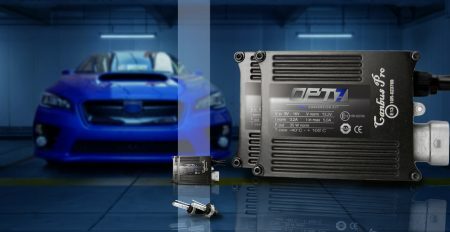 Today, our topic will be a budget-oriented HID kit that comes from OPT7. 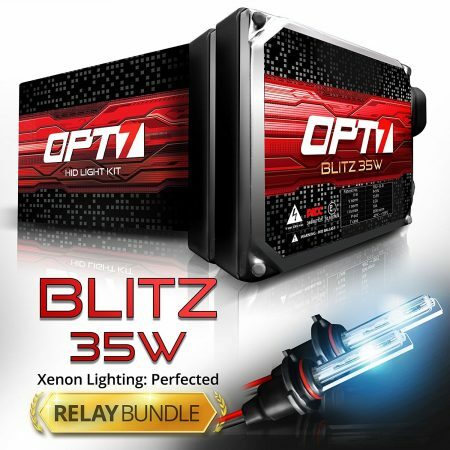 Before we get deeper into OPT7 Blitz Bullet HID Kit Review, let’s take a quick glance at it. As an HID kit, this product is meant to give you a better lighting for your car at a lower energy cost. Due to its simplicity, this product comes as a plug & play kit, meaning that the installation and ignition are very easy. In the beautiful black and red box, you’ll get everything you need for a successful installation of this great(?) OPT7 35W HID kit. Now, let’s check if this HID kit is really worth your buck, shall we? What makes the OPT7 Blitz Bullet HID kit special? As always, let’s start with aesthetics. OPT7 did a really good job of packing this product in a box that looks quite expensive for a $34.99 HID kit. On the box itself, you’ll see various specs that should make you jump from excitement, but this is just another trick up the sleeve from OPT7. My straightforward approach means that I only rely on the performance itself to measure the quality, so I unpacked it quickly. Upon reading some specs, I came to a conclusion that this is a classic 35W HID kit, so nothing special was waiting for me around the corner. In the box, you’ll find two HID bulbs, 2 ballasts, 1 Relay harness and 2 capacitors. When it comes to the wiring, remember that this is a plug & play product, meaning that you won’t be having problems with the installation. The kit looks pretty decent, to be honest. We can clearly see that OPT7 put an effort into leaving the right first impression. I managed to install this kit in around 20 minutes, but it took me quite more to make it work properly. The light on the driver’s side started flickering a bit and I had to open my headlights again and move the cables a little. When I finally made it work flawlessly, I was impressed by the amount of luminance HID bulbs produce. Just WOW! HID bulbs are always going to impress me, no matter what. You know the drill when it comes to HID bulbs. They are around three times brighter than ordinary halogen bulbs, albeit OPT7 says it’s five times. I don’t want to diss them, but that’s a slight over-exaggeration. The other great thing about OPT7 HID kit is the insulated wiring, introduced in a shape of security measure. With the insulation, you shouldn’t expect any overheating issues, making these HID bulbs work reliably. I’m a huge fan of many different colors and OPT7 read my mind perfectly this time. As you’ve guessed, we have a vast selection of different lighting colors with different brightness capabilities. The basic bright white Xenon light comes with a color temperature of 5000K, which is slightly weaker than the ordinary 6000K HID bulbs. Other than that, we have 10000K deep blue, 6000K lightning blue, hot pink, monster green, royal purple and some other colors with it. Finally, the complete headlight kit is sealed with Stainless Steel casing with grade 7 silicone which should keep it waterproof, dustproof and shockproof. If you couple that with the insulated wires, you get a pretty stable and well-protected kit, and that’s more than good for this price range. I just hope this isn’t a short-lasting pleasure! OPT7 Blitz Bullet HID Kit comes in a durable package, keeping everything you need well-protected and ready for installation. A plug & play installation means that you’ll get it working in no time! No pointless wire cutting, splicing, merging and headaches. For an additional reliability, the wires are insulated and the kit comes with a relay harness and capacitors. HID bulbs provide an excellent brightness. They conserve your energy, shine brighter and are very reliable in any conditions. 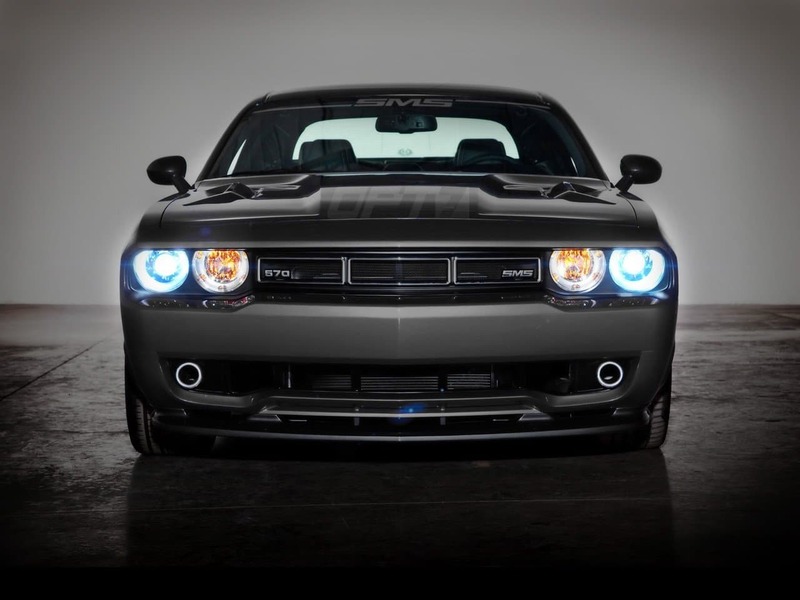 You have a vast selection of colors when it comes to OPT7 Blitz Bullet HID kits. This kit is available in all standard OEM bulb sizes, making it great for almost any car. 35 W of power is enough to power up HID bulbs and provide stable and all-around performance. Thanks to HID bulbs, OPT Blitz Bullet HID Kit provides a blinding beam of light in every possible condition. It’s almost a necessary upgrade for any car out there. Plug & play characteristics are great. You don’t need to be a professional to get them up and running. It’s simple as that! 35 W of power might not be anything impressive, but it’s surely reliable. You probably won’t experience any problems even at a full blast. A huge plethora of colors provides lots of possibilities for further car customization. With its price of $34.99, OPT Blitz Bullet HID Kit is a capable performer in a budget-friendly category. I’ve had some minor problems with making the kit work properly. You’ll need some tweaking, so be sure to carefully install it. HID bulbs provide lots of brightness, but they usually don’t fire up immediately, unlike LED bulbs. Due to the very strong brightness, some of you may experience slight interference with FM radio in your car. Apex HID kit is slightly better, yet cheaper. The price of this product could go down a little bit. Before we dive into our conclusion, remember we have a full guide for picking the right hid kit which can be found at this URL https://topratedanything.com/best-hid-headlight-kits-to-buy/, it is worth your read. OPT7 Blitz Bullet HID Kit is an amazing product for the price and you simply can’t ask for more of it. The main feature here is the presence of HID bulbs which give a nice, bright beam that can shatter the darkness and fog around it. If you don’t want to waste your money on numerous HID kits, it’s great to know that this one is fairly reliable. The isolated wires and sturdy protection will provide this kit with lots of stable performance. Furthermore, this kit is great for beginners due to its simple installation which takes a little of your time. To put it simply, OPT7 Blitz Bullet HID Kit is for those who want a budget-friendly solution that can still wipe the floor with the ordinary halogen bulbs. Although the price can still go down a little, I’m still quite impressed by the overall performance of this headlight kit.